THE UKS LEADING GLASS COCKPIT AVIONICS MAINTENANCE PROVIDER, WITH AN EXTENSIVE RANGE OF EXPERIENCE WITHIN ALL ASPECTS OF AVIONICS MAINTENANCE AND INSTALLATION, WE HAVE THE EXPERTISE TO MEET ALL OF YOUR REQUIREMENTS. On this website you will find information about the dealers that we represent and their equipment. You will also discover what we think of them. Having installed and maintained most of the systems offered, we can present to you a real life assessment of our own opinion of each individual system, so if you do decide to have an avionics upgrade you know what you are getting for your money. We are appointed resellers for the following manufacturers, meaning we can provide installations and full ongoing warranty and non-warranty support for your equipment. With a growing range of experience within all aspects of aviation maintenance and installation, we have the expertise to meet all of your requirements. If you own an American (N) registered aircraft we can provide support for all your avionics, including in situ compliance with FAR 91.411 & 91.413 Altimeter and Transponder Checks. These can be done at our base in Gloucester or we can come to you to carry them out. We can carry out the FAR checks on anything from a Cessna 152 to a Boeing 757, our prices start from £400.00 (+ VAT) for a single altimeter and single transponder inspection at our Gloucester base. We can also travel to your location to perform thee checks. Call us on +44 (0)1452 855501 to find out more, or email us at mail@rgv.co.uk with your requirements. 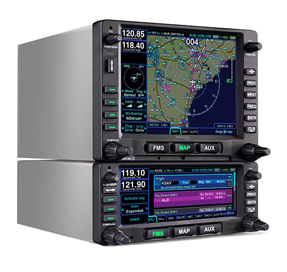 RGV Aviation Ltd is a Garmin Authorised Dealer capable of the supply, installation, and maintenance of all major Garmin avionics units. Garmin is the world leader when it comes to innovative mobile navigation devices, with GPS products fitted in cars, boats and aircraft around the globe. 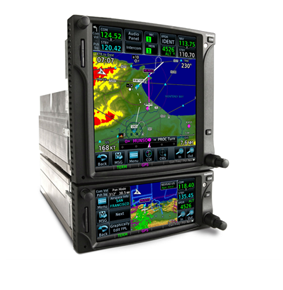 When it comes to avionics, Garmin has produced a vast array of high-quality units such as GPS/Nav/Comm systems, transponders, audio panels and weather solutions. No matter what your requirement within your own cockpit, you can be confident that there will be a Garmin product to suit. 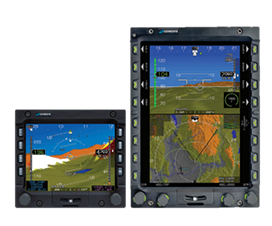 RGV Aviation has the capabilities necessary to supply and install the entire range of Garmin units, including Sport Aviation products. We can also carry out the Garmin servo mount check with EASA FORM 1 or FAA 8130-3 release. This is an EASA section 5 mandatory requirement on G700 Autopilot equipped Cessna, Cirrus, Diamond, Piper and Beech aircraft. Garmin specifies that this check should be carried out annually in the ICA for the mount. Most Aircraft Manufactures specify a bi-annual or 1000 hrs check (whichever comes first). As a Garmin Authorised Dealer we can offer competitive pricing and fast turnaround for the supply, installation and maintenance of all Garmin products. RGV Aviation Ltd is an Avidyne Authorised Dealer capable of supply, installation and maintenance of all Avidyne units. Avidyne’s Flying Made Simple philosophy is echoed through the many high quality and often ground-breaking products released into the General Aviation market. Offering everything from Multi-Function Displays (MFDs) to Traffic Advisory Systems (TAS), Integrated Flight Decks to Lightning Detection Systems, Avidyne is a company that places ease of use and increased safety in the air at the forefront of their product designs. Founded in 1994 with the desire to update the cockpits of GA aircraft the world over, Avidyne has consistently released new products into the marketplace such as the revolutionary Entegra line first launched in 2003. This was the very first Integrated Flight Deck for light General Aviation aircraft. Today, the Entegra Release 9 continues this trend of ingenuity; offering the very latest in flight deck technology for your own aircraft. RGV Aviation Ltd. is an approved Avidyne authorised dealer, and the ONLY UK Approved Entegra Release 9 installer. Our ever-increasing expertise with Avidyne systems means we can consistently provide fast support and installation for your chosen product. RGV Aviation Ltd is a Trig Approved Dealer capable of the supply, installation, and maintenance of Trig Transponders. The Scotland-based Trig Avionics was founded in 2004, with a desire to create affordable and innovative avionics products for the General Aviation market. Offering some of the smallest and cheapest transponders on the market today, and now the impressive TA60 Series of ADS-B Receivers, we at RGV Aviation Ltd. are proud to offer supply, installation and maintenance for all of these units. When it comes to transponder innovation, Trig Avionics is arguably the market leader. 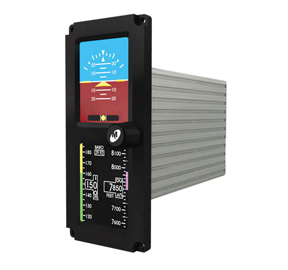 The TT21 transponder offers low power consumption, simple installation and support for 1090ES ADS-B Out, all with a front panel controller that can fit in a 57mm (2 ¼ inch) instrument hole. 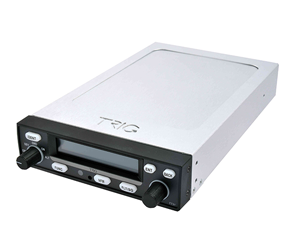 If space is a premium in your own aircraft then a transponder solution from Trig could be the answer you’ve been searching for. RGV Aviation Ltd. is a Trig Avionics Authorised Dealer. Our experience in fitting, installing and maintaining every Trig product makes us the logical choice for a fast and reliable service. RGV Aviation Ltd is an Aspen Avionics Authorised Dealer capable of the supply, installation, and maintenance of all major Aspen avionics units. Aspen Avionics was established in 2004, with the aim of bringing the most advanced technology fitted into the commercial and business aviation aircraft, into general aviation cockpits. The company now feature a range of value-rich avionics perfect for both upgrade and new installations, all with a very affordable price tag. 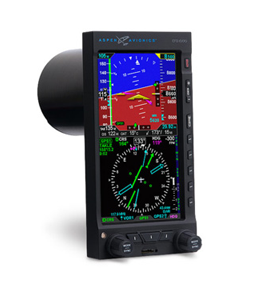 Although other products are available from this manufacturer, the flagship of Aspen is certainly its Evolution Flight Display technology. Arguably one of the most innovative glass cockpit systems on the market today, and certainly one of the most affordable, this system is specifically designed for the upgrading of traditional analogue instruments. The typical ‘six pack’ of analogue instruments within any general aviation aircraft can be upgraded all at once, or over time, to this sophisticated glass technology. As all of the units within this Evolution series are easy to upgrade and update, Aspen have future-proofed their systems successfully. RGV Aviation Ltd. is an Aspen Avionics Authorised Dealer. With experience in installing and maintaining Evolution Flight Display technology, we are the logical choice for the supply, installation and maintenance of your chosen Aspen technology. Mid Continent Avionics has been in operation for more than 49 years, overhauling or exchanging, repairing, designing and manufacturing aircraft instruments and avionics. At RGV Aviation we can supply, install and maintain all major Mid-Continent units, such as the MD302 Standby Attitude Module, or SAM, providing attitude, altitude, airspeed and slip information to the pilot during normal operation or in case of primary instrument failure. RGV Aviation Ltd is a Genesys Aerosystems Authorised Dealer, capable of supply, installation and maintenance of all Genesys Aerosystems units. The former Cobham Commercial Systems, Integrated Systems, now Genesys Aerosystems Corporation, is a market leader when it comes to autopilot technology for General Aviation aircraft. Offering the largest selection of single-axis, primary two-axis and full function two-axis autopilots in the industry, there is sure to be something to suit your own individual needs. Autopilots from Cobham are now installed in more than 35,000 individual aircraft across the globe; their owners benefiting from the smooth and stable flight that these high-quality autopilots provide. RGV Aviation Ltd. is an authorised dealer for the supply, installation and maintenance of all Genesys Aerosystems autopilot systems. Our extensive experience in dealing with these products makes us the logical choice for whichever Genesys Aerosystems unit you yourself may be considering. RGV Aviation Ltd is an L-3 Authorised Dealer capable of the supply, installation, and maintenance of all major L-3 avionics units. For more than 45 years the developers at L-3 Avionics Systems have been helping to make the life of pilots easier as they fly. With a diverse range of sophisticated avionics systems on offer today, L-3 has become the place to go for standby instruments, collision avoidance systems and weather mapping, amongst other specialties. 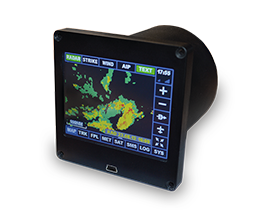 One particularly noteworthy product in L-3’s arsenal is that of the Stormscope Weather Mapping System. This unique technology is designed to alert you before a lightning strike, instead of during as in the case of many comparable systems. The ability for this unit to interface with the vast majority of popular MFDs on the market makes it a smart choice for anyone wanting a better awareness of the weather conditions in their vicinity. 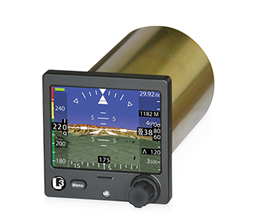 Other popular products include the SkyWatch Collision Avoidance System, providing most of the functionality of TCAS for a fraction of the price, as well as the new Trilogy Standby Instrument, keeping you safe in the event of an electronics failure within the cockpit. RGV Aviation Ltd. is an approved L-3 Avionics Systems Authorised Dealer. Our experience in fitting and maintaining the diverse range of products available from this supplier makes us the logical choice when it comes to the supply, installation and maintenance of your chosen L-3 technology. RGV Aviation Ltd. is an authorised supplier for Dr Golze Enginnering datalink products. In North America an in flight data link has become a standard, but with satellite coverage limited for Europe and other parts of the globe this hasn’t been a real possibility until now. The ADL110B and ADL120 from Dr Golze Engineering fill the gap with a cost effective and intuitive European in flight data link. download the most up to date radar image for your route in flight. information displayed on a moving map complete with your current position and route. Download of METAR/TAF – With your ADL device you can specify multiple airports and the unit will download the latest METAR or TAF for those airports. Sending and receiving SMS – The ADL 110B and 120 allow you to send SMS messages in flight by routing your message via Dr Golze Engineering servers through to the mobile phone, and vice versa. Live internet position updates – Family members and friends can follow your progress with the ability to post private or public position updates on your journey. We offer competitive pricing and fast turnaround for the supply of all Dr Golze Engineering products.